This is THE TREE that got my drone. I got it back after 5 months, replaced the camera and it still flies. It was waterproofed. Lol wow youre lucky! I lost a lot of money to my damn tree. CLEAN BUILD! Just finished my Marmotte build with the same fc and esc. Been running the pin32 and talon f7 for 2 months now and I'm amazed how good this stack runs on 6s and 2208's. I have been also tinkering with a 1S quad for a while now. 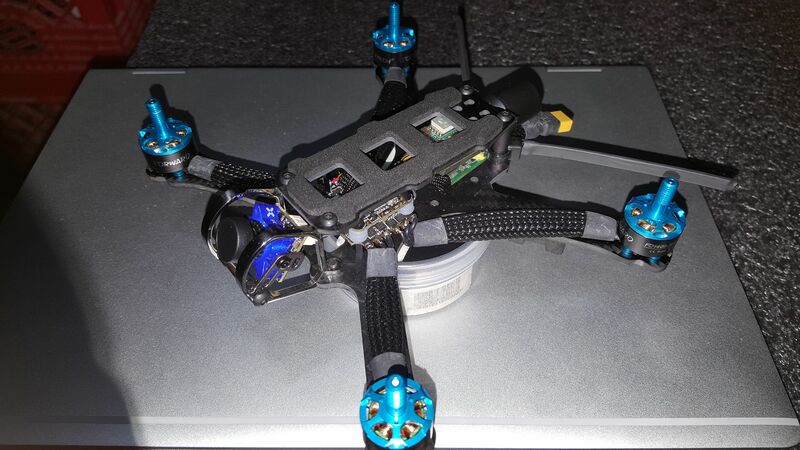 I decided I don't mind a bit of weight but the performance on 1102 10000kV motors was just terrible. Waiting for faster motors now hoping it will help. It's not easy to build 1S quads because they are much less popular than 2-3S. Great job! Nice buid. It looks like all the motor wires are red, are they all the CW version? 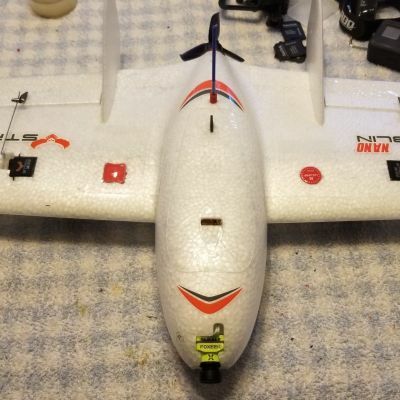 I don't really see why Happymodel has directional brushless motors while most aren't. I wonder if they are actually directional in some way? She looks super clean, and super mean! As soon as I saw this beast I knew what I would do with my "extra" Matek F722 and F55A. Except for that I directly copied your drivetrain (but still very similar - 7 inch Chameleon\1622 KV's on 6S\Those 7" HQ tri's). I've only bench tested the HyperLites on 6S and I can already see how smooth this setup is going to be (awaiting RC\VTX\FPV deliveries). A quad like this is pure luxury, but nonetheless a luxury I had to have. Dudeeee this is lit!!! reminds me of my build a lot ahahaha. Got some flight videos? i havent tried those motors yet so im interested in how they worked out!! another great build keep it up! One thing I learned in the past year of flying FPV. It doesn't matter if the frame is expensive or cheap, if you crash hard enough, stuff is going break. Also, the biggest crashes don't always cause the most damage. It's a good thing I enjoy building and repairing as much as I like flying! There is a $30 version of that frame on Amazon. I know you are having some feelings about this one, and how much it costs (and I COULDN'T agree more that $100 is too much for a 5" frame). If it was $30 you would probably feel like it was right on time, maybe even a great value for a full featured and well thought out design. A bargan, even. If you use the two full size stack mounting holes, or at least one of the rear stack mounts at all, you would REALLY be stoaked. I think that's really the point of this design, you can use the rear bay for your FC if you like. I know the fear that setting your gyro away from the center of the craft is logical, but they seem to perform well in that configuration anyway. You could use a 4 in 1 esc, and a stack mounted vtx. If you aren't using all those stack mounting holes... I hate to say it but they are in a pretty sketchy position (structurally, they are clost to the edges of the frame, so they weaken it in some slightly scairy ways) and you would be a lot better off without them. The frame is a GREAT design for lowering your top plate and using full size boards, or even a 2 stack arangement of various sizes. If you AREN'T using a two stack setup I would use a different frame. My problem isn't with the price of the frame. One hundred dollars seems to be about the price you pay for a "premium" frame. But if you want to call it a premium frame, make sure everything fits well (or include files like the Alien), that there's some quality control (especially when you talk up the titanium hardware), and make sure that all the issues have been addressed before you go into production (the now included Super Nova arms). I bought the frame because I liked the layout, and it's working well. I think I was just expecting the same level of quality that I though the Dark Matter had and I was a bit disappointed. I've been flying it every day this week on spring break and it's shortcomings have been redeemed by the way it flies. It's the main quad in the video above. did you buy kevlar plate or actually do a hand layup and then cut it? I have a whole ton of extra kevlar left over from some projects i was doing last year and although extremely resistant to cutting and breaking i found that is wasnt nearly stiff enough by itself but was awesome as part of a carbon fiber composite. Hey.... did you make a bigger canopy? I am at a pause to see if I can redeisgn the stock one to be bigger (and I used a 20mm stack and had originally planned to use the F55A and some 30.5mm F7!). nope I just used the stock canopy for 30x30. I kept the height under the 55a to just enough for the 10 pin connector to not hit the frame. 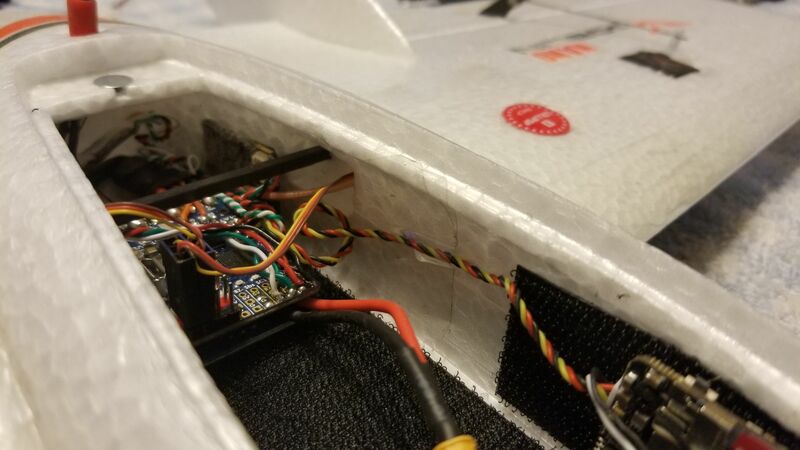 just make sure you keep your motor wires at a 90 when you solder them to the esc pads. I recently finished a similar build (Falkor Micro\HGLRC F428\Flame 1408 3600 KV's\4S XT30\Panther Graphene). I built 11 in the last year, and of those that is the absolute deadest nuts smooth flight on a default tune I've ever seen. I do have the 4 inch instead, but I bet your 3 " feels so locked in on the stock BF PIDs ( ... try those Flash 3052's). Have you ever seen builders using orings instead of a second level of stand-offs between your board and ESC (or PDB)? That kills just about all vibration to the FC (nice to have them atop the FC between it and the nut). Your first build crushes mine. I won't fly one like this to death. I prefer to retire them early and build another.... and so I guess I'm going to have to build a 3" Gecko when I get done with my Chameleon LR. you really helped me out here. 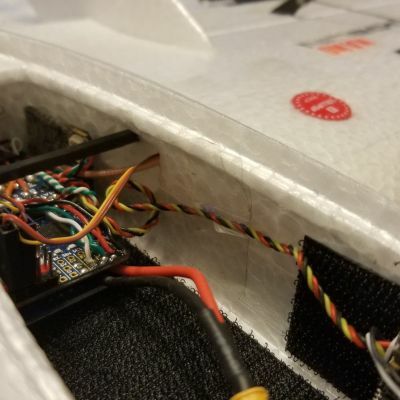 I put some tape on the motor pads after work and it actually allows the pod to slide on easier now as well. thank you very much for your input with this! Looks good. 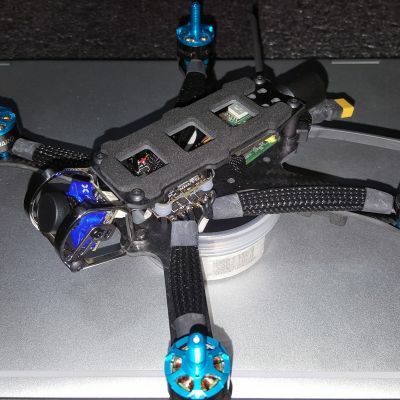 I'm building a quad with the Spintech frame and motors, but using the new 16x16 succex micro f4 stack. I'm finishing tomorrow, but I'm looking at 162g all up. Can't wait to get it going. You think the extra 10g less will help? beautifull simple and tiny! what a weight - awsome! very nice! i miss 1s sag after your powerloops ;-) it seems sag doesnt realy exist. you push it hard, flighttime is still good. Thanks. I made a conscious effort in this video to try to push it hard to show the performance. There's not really any detrimental sag until the end of flights when its time to land anyways. Given enough space any quad will sag but for small park and yard flying sag really isn't an issue. 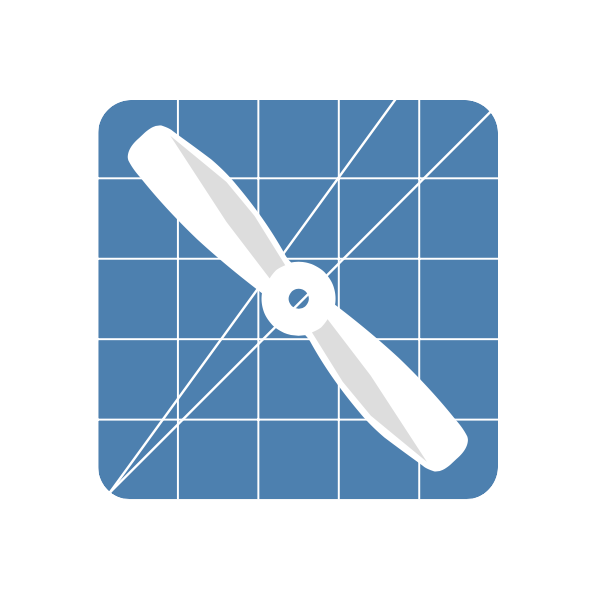 Try 3in props: your motors with 3in props have much higher efficiency than with 2.5in. With the 450mah I get around 7 min. 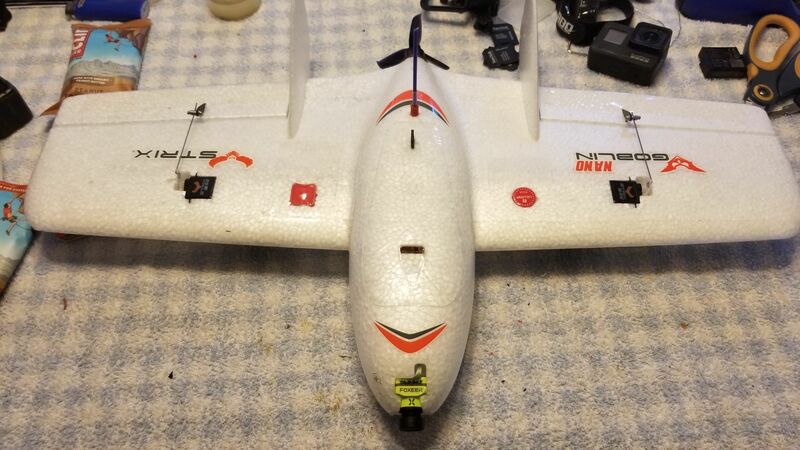 It still flies well but has a heavier feel with a little pop and more prop wash.